If couples are tested and only one partner proves to be a carrier then there is no danger to their children. 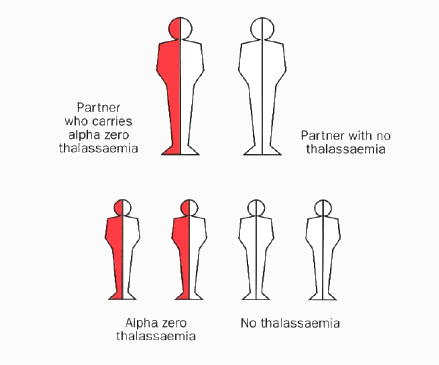 In each pregnancy there is a 1 in 2 chance that the child will carry alpha zero thalassaemia. Genetic counseling is suggested to discuss the several options open for having a healthy family. If after full discussion the couple decides to undertake a pregnancy, the mother can be offered pre-natal testing for the disorder. 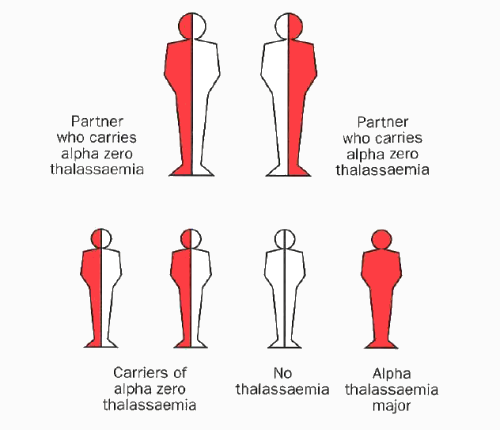 If couples are tested and one partner proves to be a carrier then there is no danger to their children (same as Fig 1). 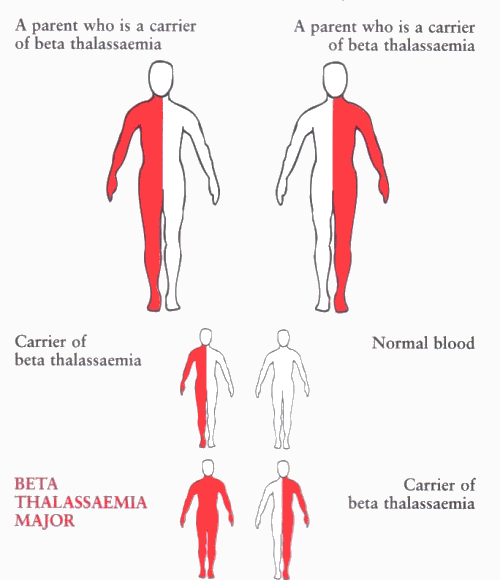 If both partners are carriers there is a 25% chance of each pregnancy to produce a child with beta thalassaemia major.